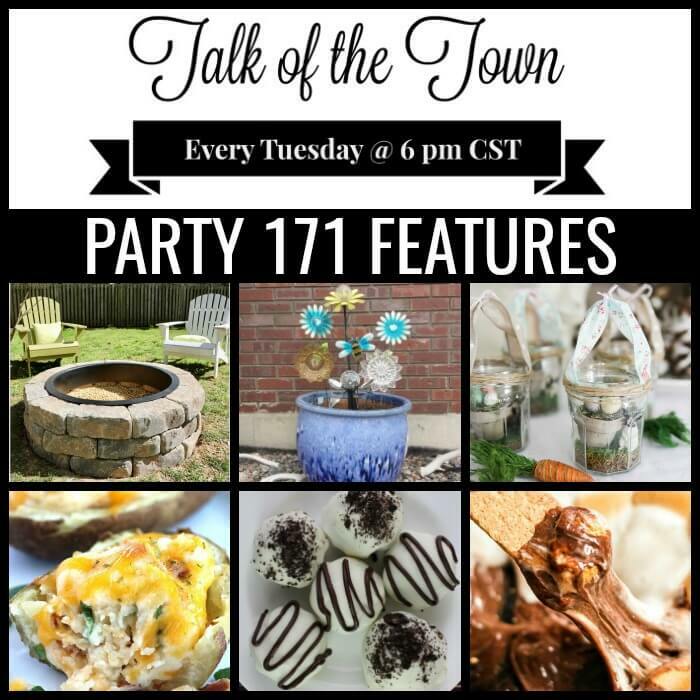 Are you like me and look for inexpensive ways to decorate for Fall? 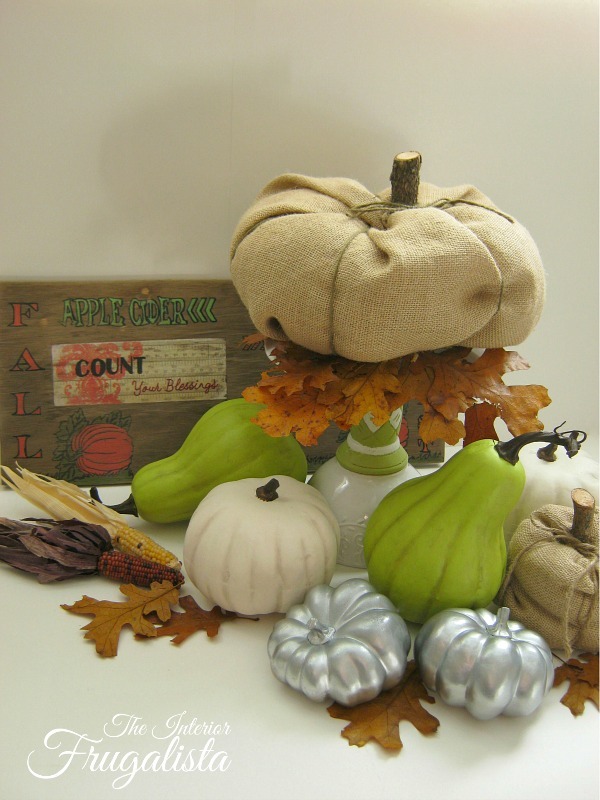 I love creating vignettes with an assortment of real and faux pumpkins in different textures and colors. Because I don't spend much money decorating for the season I have to get creative. Today I'm sharing 3 budget-friendly DIY pumpkin ideas for Fall using burlap, chalk & metallic paint, and tree branches from the backyard. 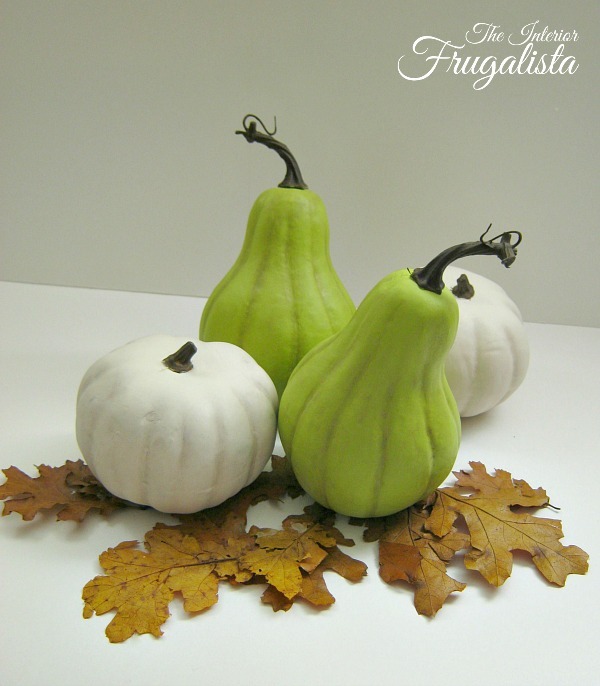 These faux pumpkins are so easy and inexpensive to make and here I show you how. Transform plastic dollar store pumpkins with paint. My preference for painting pumpkins is using chalky paint because of the matte finish. These were painted in Old White by Annie Sloan Chalk Paint™ and Luscious Lime by Country Chic Paint. The stems and tendrils are painted with acrylic craft paint in the color Raw Umber. Once the paint is dry, apply clear wax with a lint-free rag. To add dimension, rub dark wax into the ribs and stems with a cotton swab. 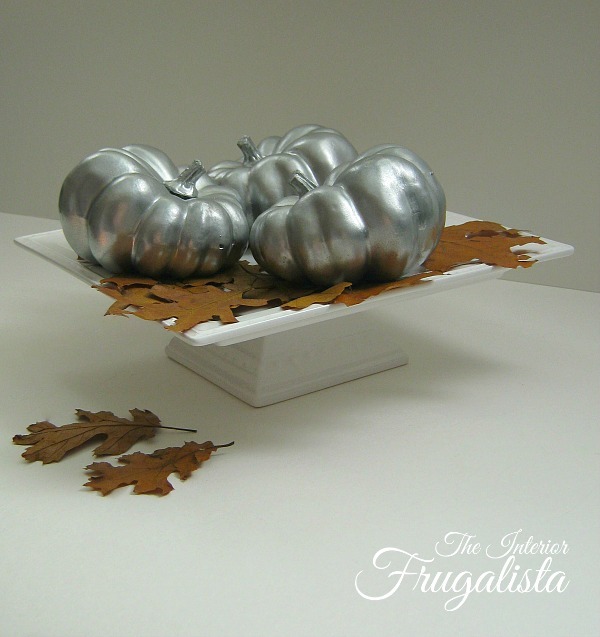 These small dollar store pumpkins were simply spray painted with Rust-oleum Silver Metallic Reflective Spray Paint. Can't get any easier than that! 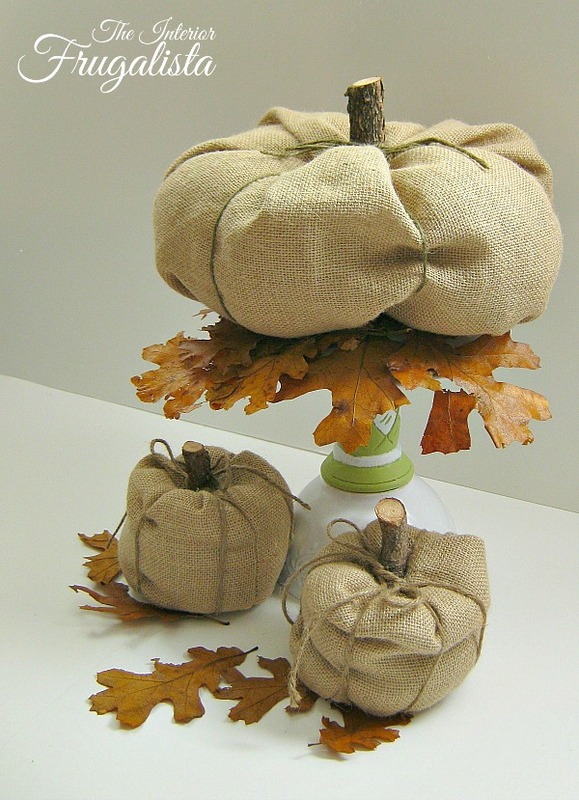 To make these on-trend pumpkins you'll need some burlap, jute twine, and tree branches from the backyard. 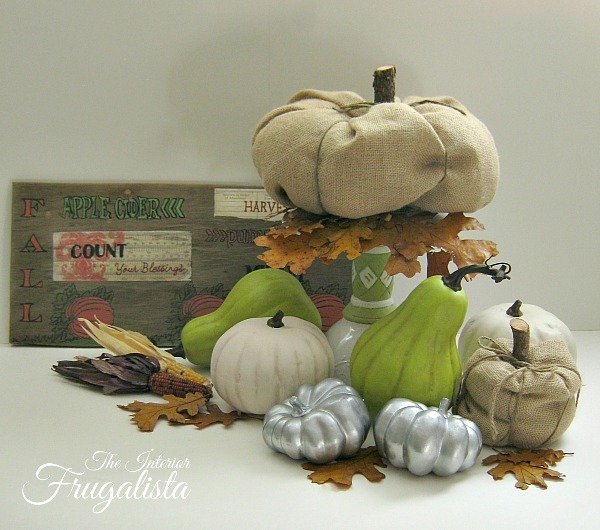 Instead of sharing a detailed tutorial on how to make the burlap pumpkins, I have both a video and detailed step-by-step written tutorial in my post Fabric Pumpkins With Cabinet Knob Stems. 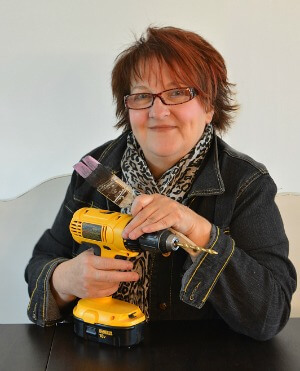 Just skip the cabinet knob stem section and hot glue a cut tree branch on the top instead. 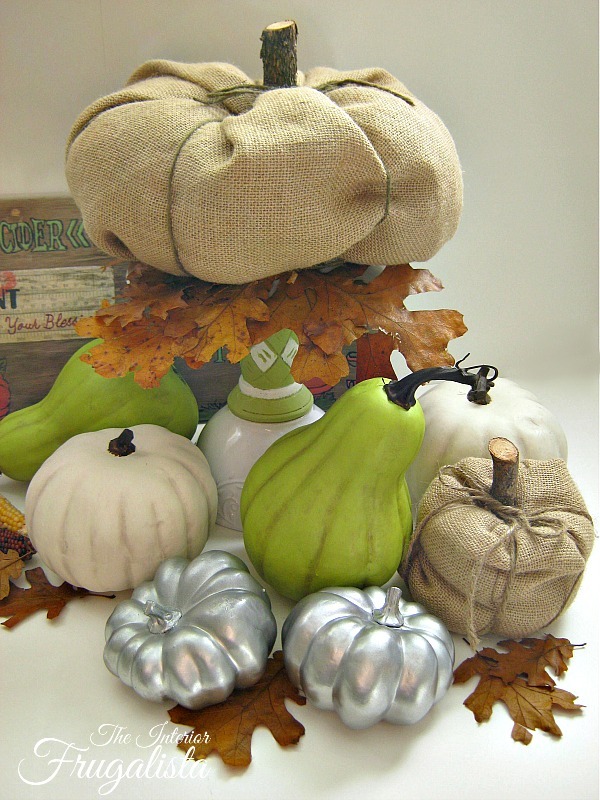 You could also incorporate these Sweater Pumpkins into your Fall pumpkin patch made much the same way. The wood sign behind the pumpkins is another DIY made with salvaged wood from the scrap pile. 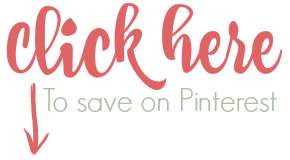 I share how I made in my DIY Fall Sign post. 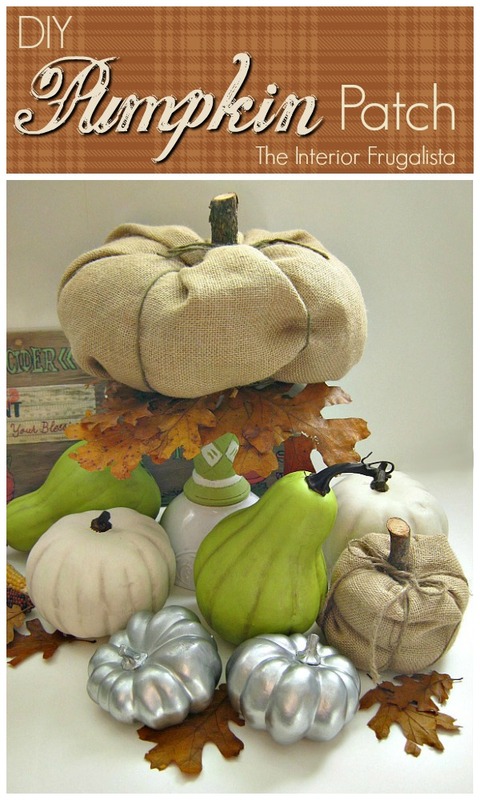 Another thing I love to incorporate into my Fall decor is seasonal wreaths. It's always so welcoming to have a pretty wreath hanging on the front door. I hang them on mirrors inside my home too. 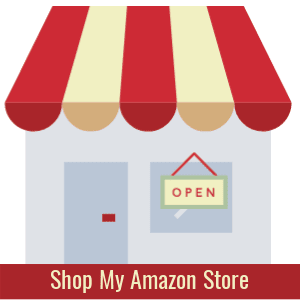 To save money I always look for unique and creative ideas for making my own. Like this DIY Fall Wreath made with an old scarf. Or this DIY Flannel Fall Wreath made with the sleeves of an old flannel shirt. If a traditional wreath is more your preference, I made this Easy Fall Wreath with Mini Banner in traditional Fall colors.